I don't know about you, but my handbag has always been filled with a million (maybe its a billion) of little notes to myself. Remember to do such and such....... Don't forget to pick up tiddlywinks .......the notes are endless. Only problem is, they get lost in the jumble that is my purse. 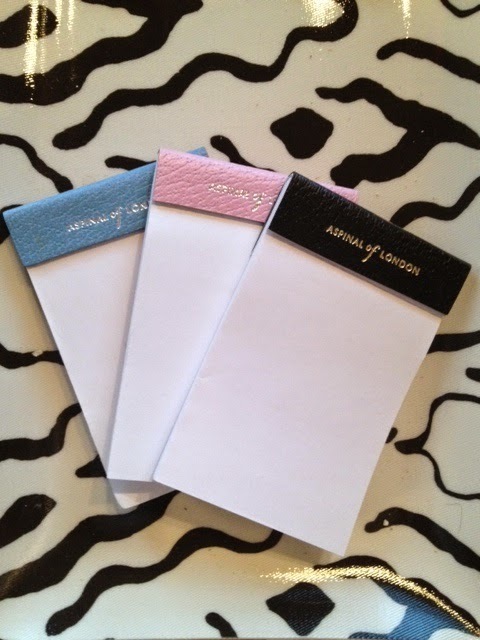 Recently, I got smart and started to use a product that we've sold in the Boutique for a dozen years, namely a jotter. For those of you unfamiliar with the jotter, it is a refillable, flat (usually leather) notepaper holder. They fit perfectly in even the smallest of purses and, when purchased in a nice, bright color can be found in the deepest, darkest chasms. I chose a cheerful red, but you have a myriad of colors to choose from. The jotters we sell like hotcakes are made by Graphic Image. 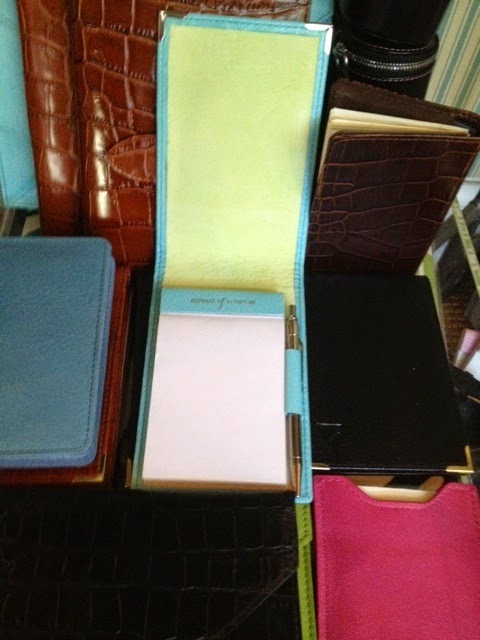 They carry a host of other practical products such as journals, albums and frames....all in luxurious leathers. 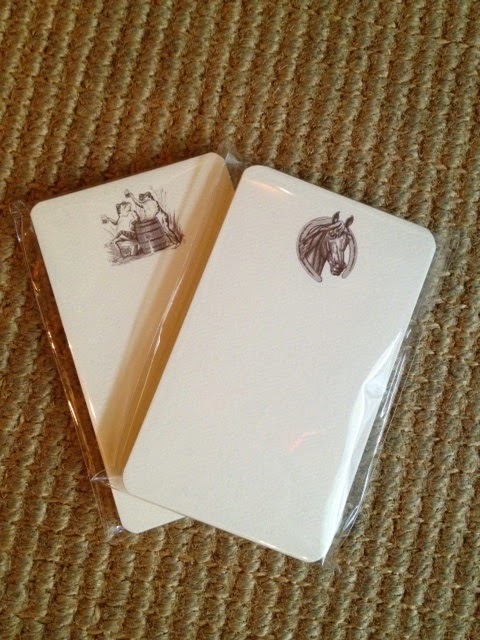 Their jotter comes with a pack of blank cards which we frequently personalize for our clients. 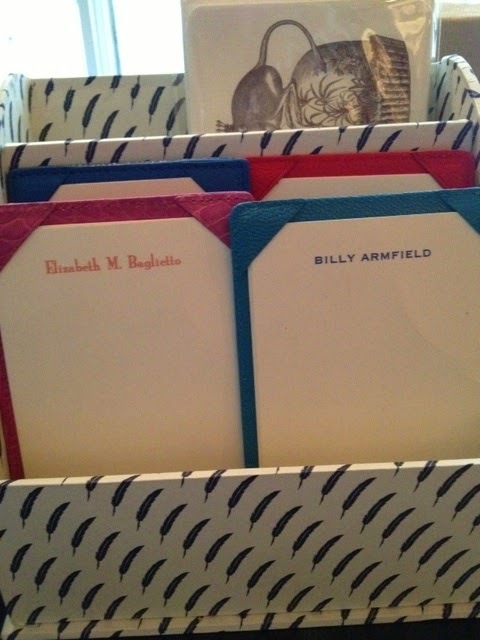 We can print a name, monogram, and even contact information on them (and in an ink color to match the leather of the holder) so these jotter cards can be also used as calling cards. The Boutique also carries "Thinking Cards" printed by New Orleans artistic stationer, Alexa Pulitzer. 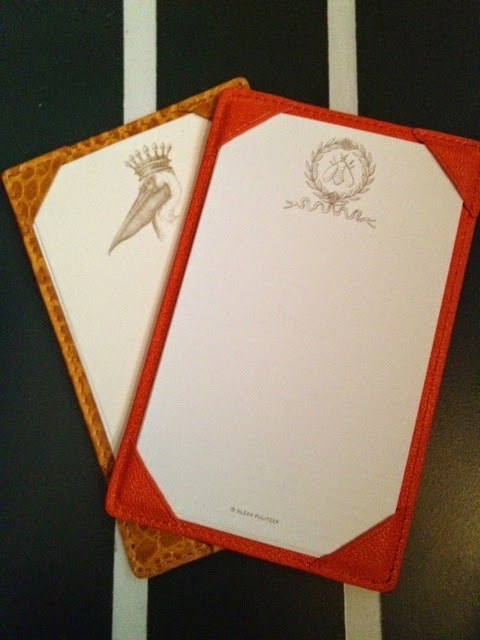 These cards fit perfectly in our leather jotters and look super spiffy when your friends spy you taking a note. They will be jealous, not only of your organizational skills, but of your tasteful choice in papers. These thinking cards can also be personalized....it only takes a day or two....so they make fabulous Birthday or Hostess presents ! The recipient won't know it only took 2 days and they will be pleased that you thought to order them a personalized gift. We also carry Aspinal of London's slim, leather folding-cover jotters with a removal pad of paper and a slim pen tucked inside. If you are a note taker extraordinaire, this jotter is for you ! When you have inscribed all the pages of your pad, you can simple pop another in its place. 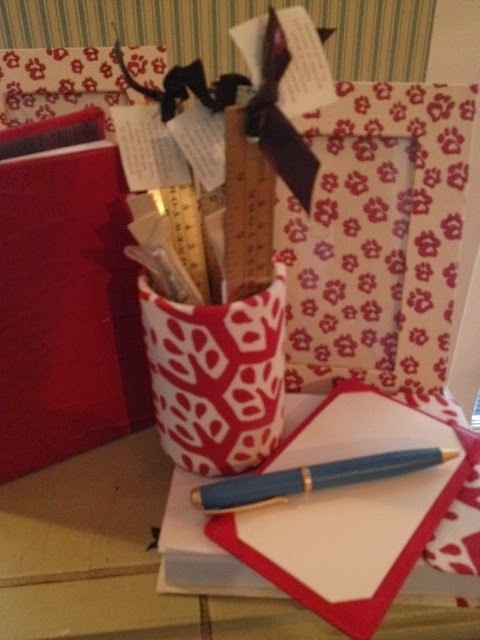 I hope you will give a jotter a whirl and see why I'm pleased as punch with mine ! E-mail Betty at the Boutique ( betty@lafinpb.com ) for particulars.